Edward Bates has supplied stylish hats and caps to discerning gentlemen from their original Jermyn Street shop since 1898. Today it is still a family business offering a personal service to customers from around the world. 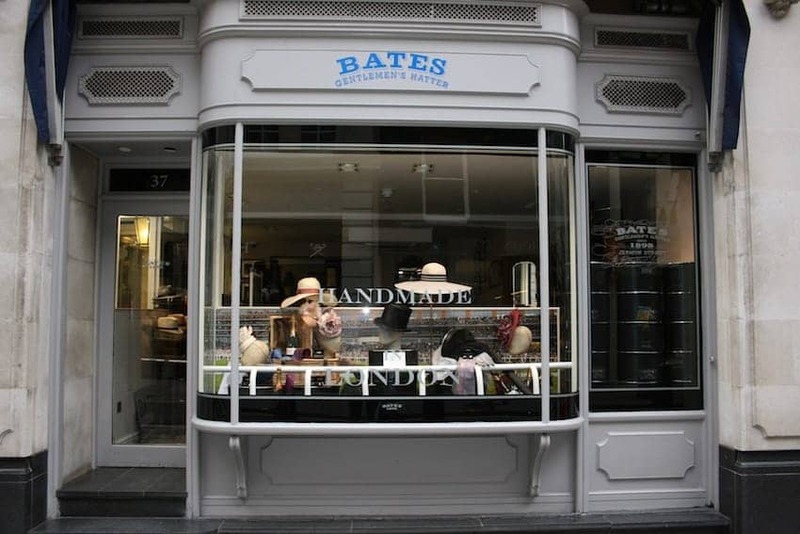 Bates' larger retail space is in Hilditch & Key on Jermyn Street, fitted out with brass-handled mahogany deep drawers and shelving, the shop is denoted by the original top hat swing sign mounted over the window. The broad range of styles and shades range from trilbies and fedoras, toppers and bowlers to tweed hats and caps and summer hats such as the famous panama.